Red-winged blackbird in patch of American lotus. 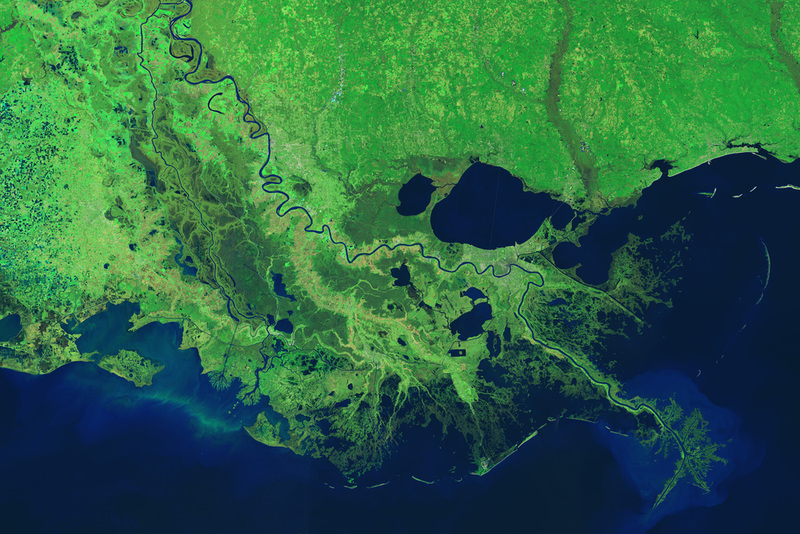 Aerial map of south Louisiana. Canal systems and other areas of rapid coastal land loss. Lotuses blooming on Mike Island, part of Wax Lake Delta.